Team ☀️ 'Sunshine' on RGSoC 2018! Gyujin is a junior frontend engineer at Ridibooks, South Korea’s leading e-reading services company. Staring with ES6, she has used jQuery, Vue.js, React.js, and TypeScript last two years for company product. 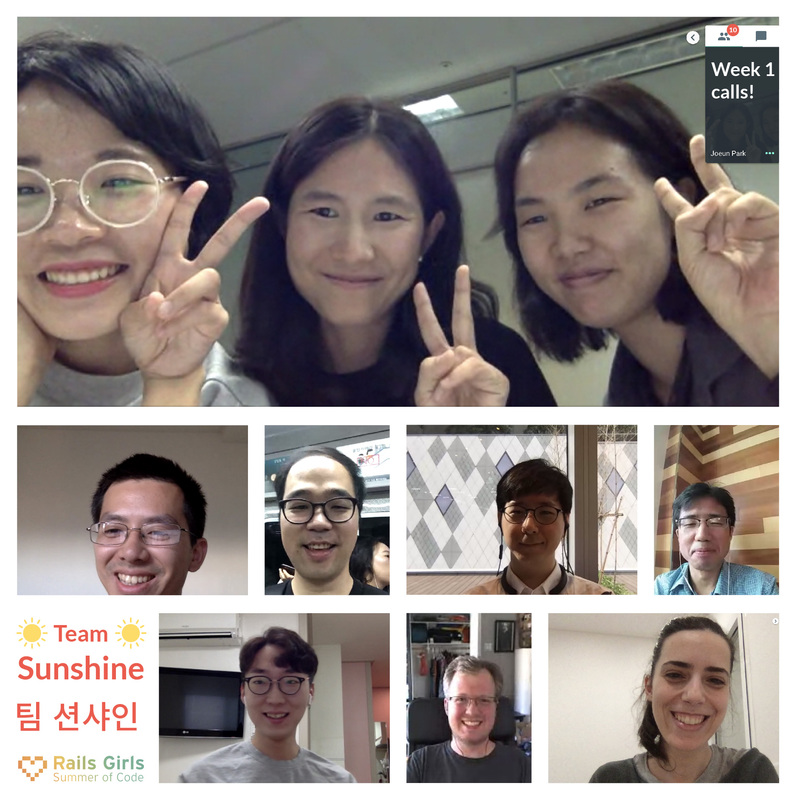 Last february, as soon as Sujin came across a news about the opening of the Rails Girls Summer of Code Applications, it just stuck in her mind. Sujin was confident that she could get a great opportunity to contribute to a real Open Source Software project as a member of Open Source ecosystem. After that Sujin searched for a like-minded team mate in Django Girls community in Seoul and Gyujin that’s how we got on the same boat. We asked close senior engineers to be our team coaches and everyone eagerly accepted the request and this is how we formed Team Sunshine to start our open source journey. It is certain that the numbers for women engineers in the tech industry are already pretty bleak, but the situation is even worse as far as participation in open source projects is concerned. Additionally, we thought there was no room for the entry level of developers in open source projects and we weren’t familiar to open source community until we met RGSoC. Unfortunately, we couldn’t meet any woman open source contributor who works the world’s leading repository of open-source code, in Korea. We were highly motivated by RGSoC’s initiatives to bring more diversity into open source and last RGSoC fellows’s successful stories boosted our confidence. And we couldn’t be more thrilled to think that our code could be running on millions of computers! Yes, RGSoC is definitly worth it. One day in April, we had a video call from Ana and Ramón from the RGSoC team. We felt a little nervous at the beginning of about 5 min, however, it fell from us very quickly because these two warmhearted supervisors made us feel very comfortable. Actually, we didn’t think that we were successful in making them enthusiastic about us so that any of us were expecting to be able to get in. 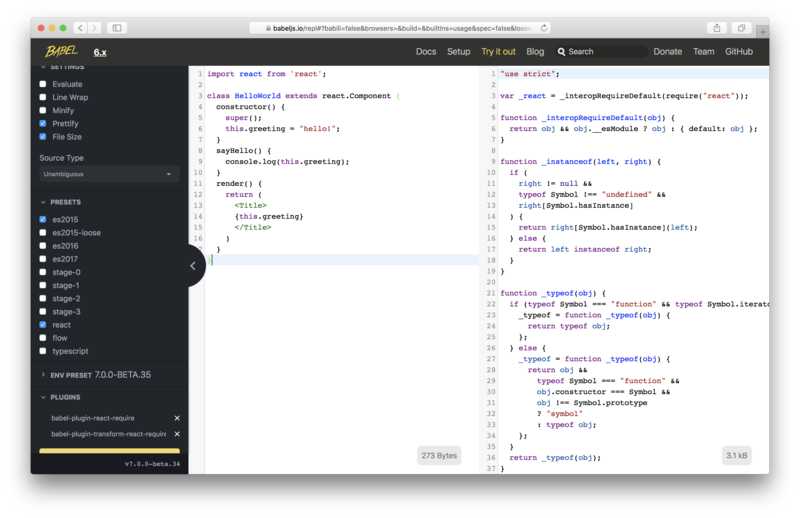 Currently, the Babel core team is going to replace CodeMirror to Ives’ CodeSandBox, the new code online editor. An end goal is to show a different view of the output code: AST, output code, or time travel. We have just started to work for integration time travel in REPL and are going to contribute for UI development with help of our mentors and coaches. We are part-time sponsored team and we meet from 6pm to 10pm at PeachTree, a co-working space that supports startups via its networks, spaces, amenities and various programs. The name ‘PeachTree’ comes from the tale of ‘Romance of the Three Kingdoms’. Just like how Yubi, Gwanwoo and Jangbi pleged their brotherhood under the peach tree. We hope to cooperate in harmony each other in its space under the peach tree. Ana Sofia Pinho Ana lives in Coimbra, Portugal. She has been involved with RGSoC as an organizer and supervisor since 2016. She handles the marketing and social media related areas of RGSoC. As a supervisor Ana is our RGSoC contact for the whole summer. She keeps an eye on the general well-being of the project’s progress and assists in the non-coding aspects of the Rails Girls Summer of Code. Henry Zhu Henry is a developer in NYC who left his job at Behance this past March to maintain Babel full time with the support by backers on Patreon and Open Collective. He’s interested in living out the parallels of digital communities and faith through open source. Brian Ng Brian is a developer and startup advisor living in Houston, Texas. He helps maintain Babel and contributes to other open source projects in his free time. Logan Smyth Logan is a Bay Area-based developer who has been involved with Babel for the past 3 years helping with development efforts, overall maintenance efforts, and user support. He is interested in open source, software language design, and writing good code. Byungjune Yoon Byungjune is a frontend engineer at DANO, a health-care startup. He has a desire to make a better world with technology and loves that open source allows him to do just that. He is also interested in social, political, and gender issues. He worked on voteforkorea.org project, the national voting lottery a.k.a, as an incentive, giving to the people who participated in the national election a chance to win a lottery. Joeun Park Joeun is a senior backend engineer of wide experience on online games and advertising companies. Currently, she teaches data science and machine learning using python language to students from beginners to experts. Joeun runs a YouTube channel, ‘Today Code’ featuring short, educational videos focusing on data science topics. Seongjun Kim Seongjun is a prominent rubyist writing code for world peace, however, he has used java for various type of products in his company. He contributed to make social campaign web platforms, voteaward.com and ansim.me by ruby on rails and tries to raise local ruby community. Dohyung Ahn Dohyung is a frontend engineer who has been working on React-Typescript based projects recently. He is in protopie.io now. He has a huge enthusiasm for contributing to open source culture and he is happy to help programmers to not only improving their technical skills, but also products and projects. Just like our team name, we will always look on the bright side of life with a positive and optimistic energy.